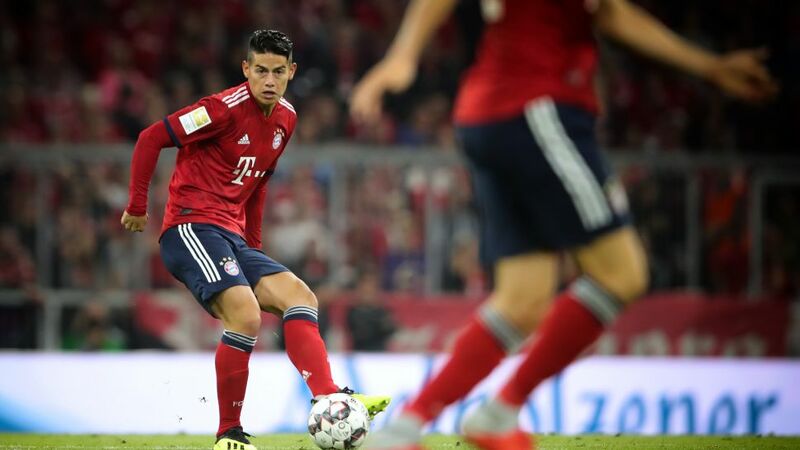 Bayern Munich midfielder James Rodriguez is targeting UEFA Champions League glory this season, saying that “a club like Bayern must be looking to win” the competition. Rodriguez helped Bayern maintain their domestic hegemony in 2017/18 by contributing seven goals and 11 assists as the Bavarians won a sixth straight league title. With two wins from two this term, Bayern once again look the team to beat in the league, but they have fallen short in Europe in recent seasons. “The Champions League is a very difficult competition but a club like Bayern Munich must be looking to win it,” said the Colombian international, who was speaking to reporters at an Adidas event in Berlin. “No matter who the opponent is, we always have to play for victory. We always have to try to be successful." The hard work on the European front begins in just over a fortnight when Bayern host Benfica on group stage Matchday 1 on 19 September, with further games to come against Dutch side Ajax and Greek outfit AEK Athens.